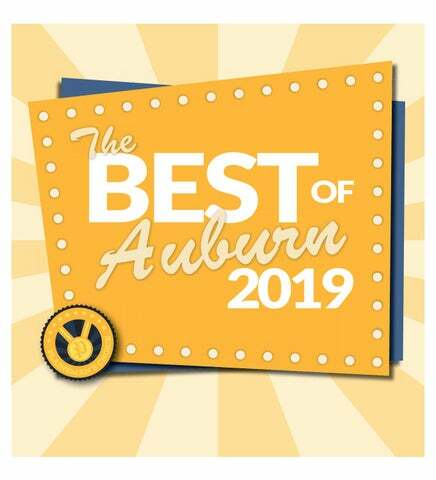 Outbursts from guests lounging, drinking craft beer and munching on bratwurst and pretzels could be heard over local band Kidd Blue as they watched the Auburn and Arkansas football game in the parking lot of one of Auburn's most historic hotels on Saturday night. The eighth annual Auburn Oktoberfest drew over a thousand guests to the lot and marquee of The Hotel at Auburn University last night. The event featured over 60 brewers and around 200 different kinds of beers from as close as Auburn to as far away as Germany. Upon entering, guests were given wristbands, stamps, an Oktoberfest poker chip and a miniature glass stein clipped to a lanyard before entering the throngs of people crowding around tables and asking for samples. Each of the 12 homebrewers kept a bucket where guests could cast their poker chips to decide on the best home brewed beer, which would allow the winning brewer the chance to travel to the Omaha Brewing Company’s headquarters in Georgia and distribute their beer on a commercial scale. The stage next to the homebrew alley was always active, with the cover songs from Kidd Blue being interspersed with stein hoisting competitions, where participating people held up steins filled with a bright red liquid for as long as they could while being berated with jokes about “keeping it up” by the emcee and a lederhosen and dirndl costume competition to determine this year’s Mr. and Mrs. Oktoberfest. This year’s Mrs. Oktoberfest, Robin Hoshor, is also a sales representative from Yellowhammer Brewing in Huntsville and was busy handing out samples while leather-clad in her lederhosen after the competition. By 7 p.m. the line to the 15 portable toilets set up behind the marquee stretched all the way back to the hotel’s brick exterior, with about 50 people anxiously shifting in an attempt to wrest control over their beer-filled bladders. Around that time, the Max und Moritz Brauerei, a father-son duo from Auburn, was announced as this year’s winner of the home brewing competition for their historic Belgian sour and dunkelweizen beers. Max Zinner, winner of the competition as well as a history graduate student at the University, said he had been brewing for about two years with his father and others at the Auburn Brew Club and that his victory was a shock.